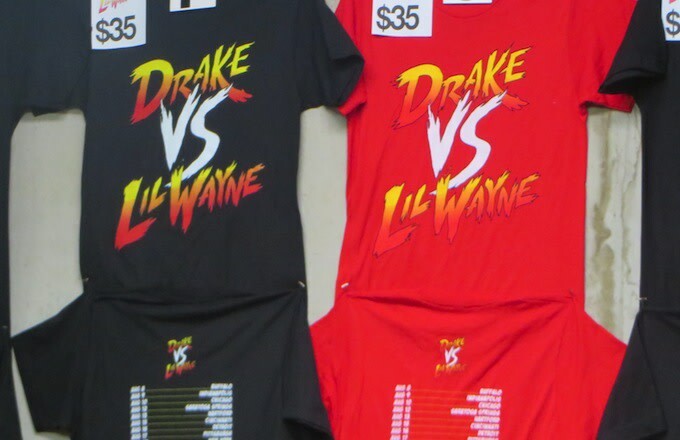 Aside from running some new music together at the first night of the Drake vs. Lil Wayne tour, concert attendees were able to feast their eyes on a brand new set of gear over at the merch table. 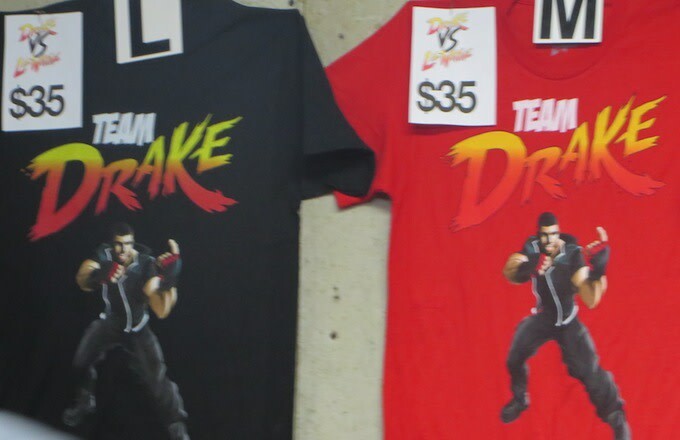 Using the imagery last seen in the Capcom-designed Drake vs. Lil Wayne app, the merch looks to carry over the "Street Fighter" vibes into a selection of t-shirts, a hoodie, and a hat. 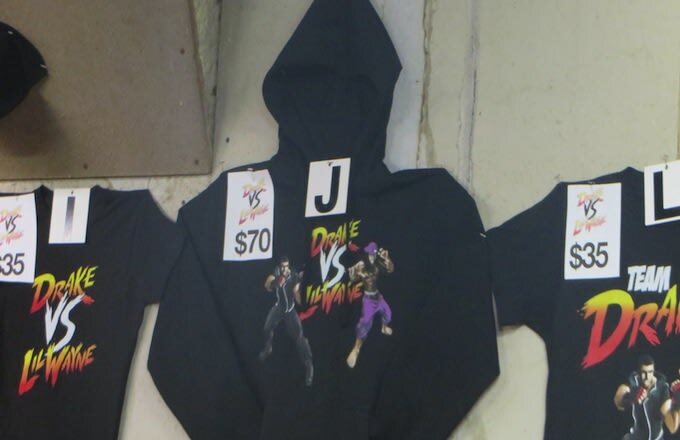 The hoodie is one of the few (if not only) pieces that features Drake and Wayne facing off against each other on the front. 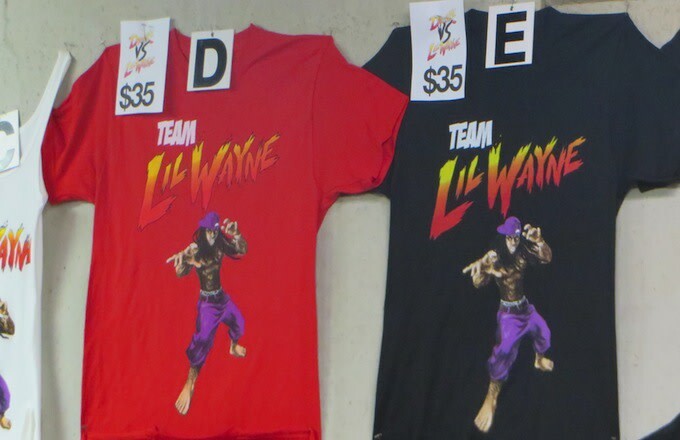 There&apos;s a "Team Drake" t-shirt, a "Team Lil Wayne" shirt, a tour dates t-shirt, and a tour logo hat. 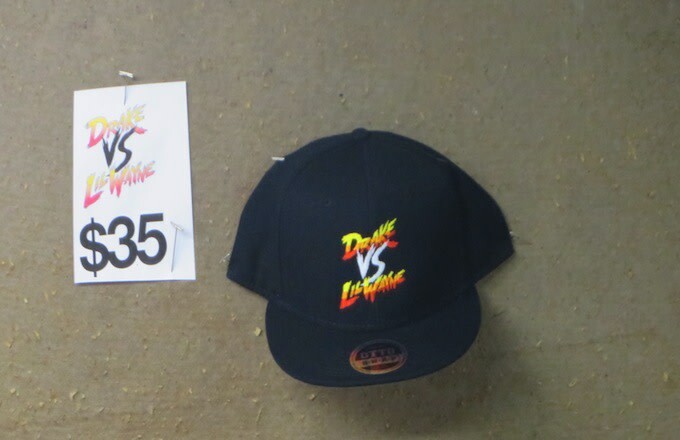 This seems to be a preview of the gear so far, but already it looks ready to rumble.